Prudencia Ayala was an iconoclastic and visionary woman. In 1930, she was a candidate for the presidency of El Salvador – at that time seemed completely impossible, a moment when women did not even have the right to vote. Her radical government program sought to defend women’s rights, support unions and public education and guarantee freedom of expression and worship. In response, the Salvadoran government denied Prudencia the right to run for public office. The reason? Because she was a woman. 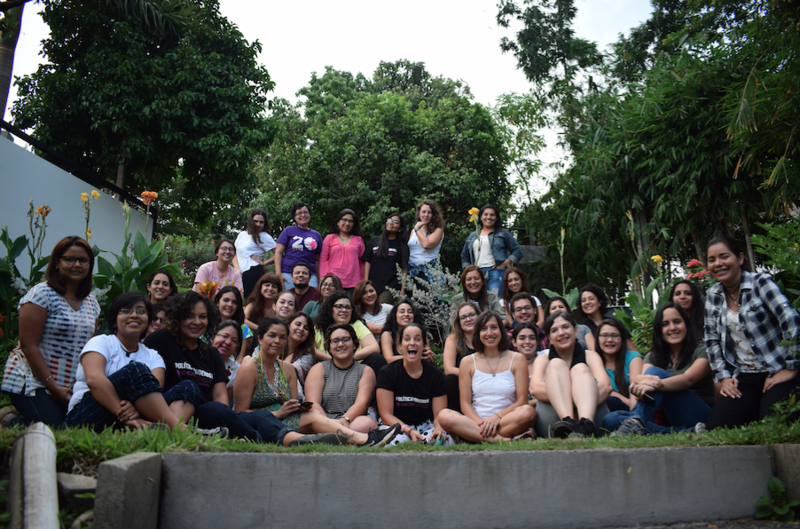 For three days, 45 women from the Northern Triangle region honored Prudencia’s story. We brought our talent, experience and passion to a project that aimed to illuminate the limited number of women in politics. 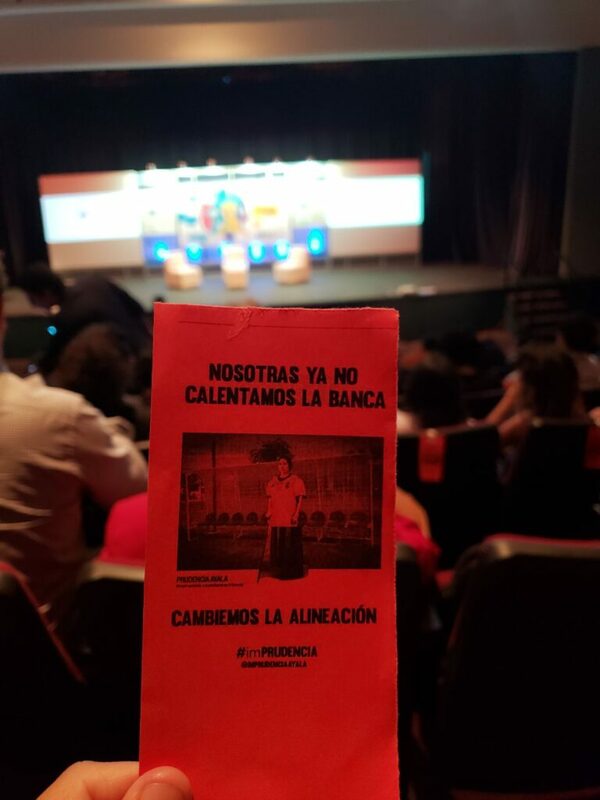 The Powerful Politics session, conducted at the Cultural Center of Spain in San Salvador, relied on design thinking, tools for analysis and visualization of data, and an abundance of creativity. The session was organized by Ximena Villagrán, Liliana Flamenco, Julia Valencia, Claudia Olmedo, Lu Ortiz and the Chicas Poderosas Triángulo Norte team. By identifying the number of women in public office in El Salvador, Honduras and Guatemala we were able to demonstrate the huge gender gap in public offices and local governments in those countries. In Honduras, of 298 mayorships only 21 are held by women. 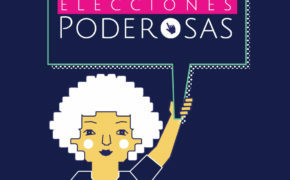 In El Salvador, of the 262 mayors, 28 are women. In Guatemala, only 26% of the congressional committees are headed by women and of 14 ministries, only two women are in the titular position. 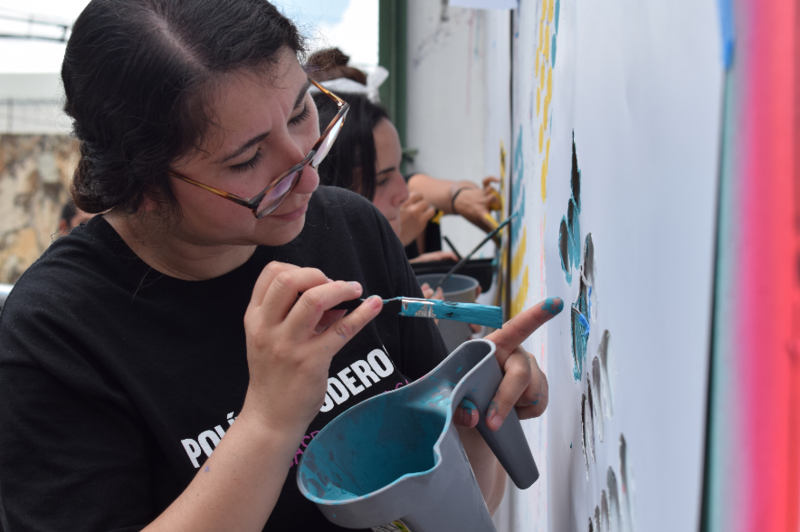 We created a mural inside La Residencia, a space for artists in transit of La Casa Tomada, that is a visual representation of the gender inequities in public office in the region. Through sessions like the one we held in Triángulo Norte, Chicas Poderosas helps participants apply methodologies such as design thinking and SCAMPER to ask more assertive questions, visualize information, and capture ideas through design in their journalistic projects. Providing safe spaces and providing a multidisciplinary approach to projects allows participants to trust in the value of proposals addressing gender issues and to innovate without fear. Expand horizons: everything is susceptible to being a visualization in multiple formats. Sky is the limit. Through collaboration, a Twitter account focusing on Prudencia was born. We want to offer this platform as a place that not only tells the story of this powerful woman, but also hosts reports on the lack of opportunity for women in public positions. The Política Poderosa event was held within the framework of the Central American Journalism Forum, which inaugurated its week of workshops and talks with a conference entitled “The world on a soccer field” with three panelists, all men: Martín Caparrós, Alberto Salcedo Ramos and Mario Jursich. As part of the panel, Martín Caparrós declared that soccer was not a space for women, since it was a sport of strength, not of grace. Alberto Salcedo Ramos dedicated a poem to a participant who denounced his lack of equitable inclusion.